When Margot discovers a secret hidden in her family’s basement, she realizes she has a chance to break that cycle. Now, with newfound abilities she’ll have to learn to control, Margot must brave a harrowing journey ahead of her to defeat the Stronghold targeting her town. 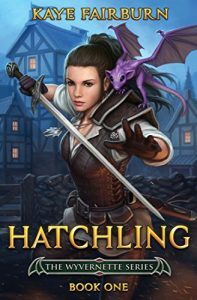 Hatchling is the first book of Wyvernette, a fantasy LitRPG series.